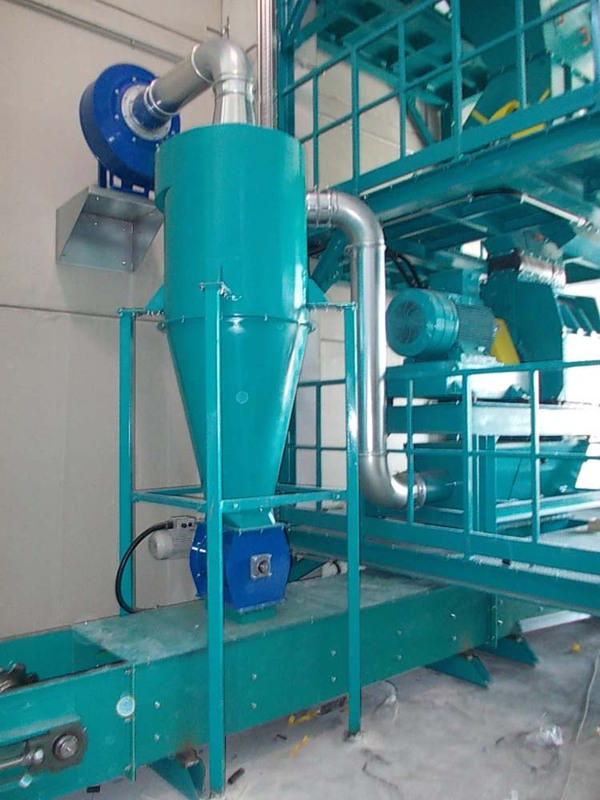 Cyclone scrubbers are ideal for pre-filtration where there is great concentration of dust and the reduction of coarse particles. Versatile for all types of dust. 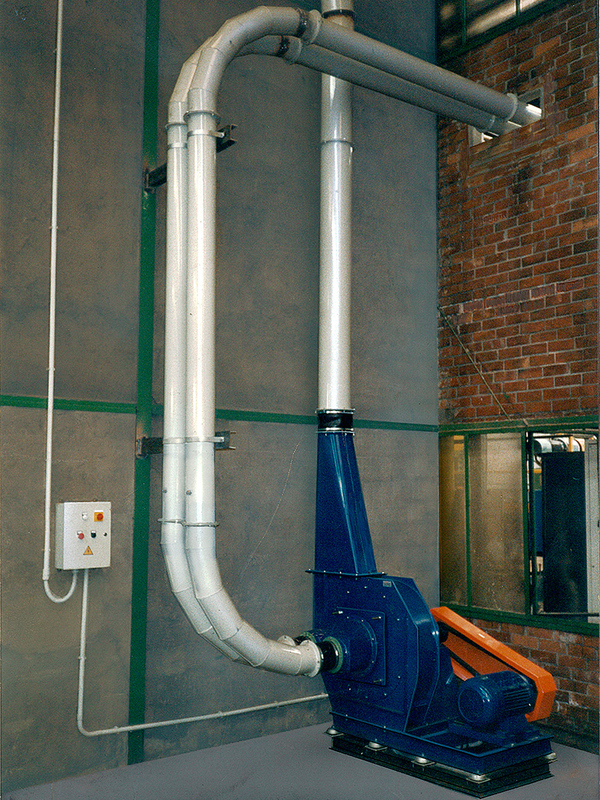 Filter maintenance and replacement is favoured by access to the filter unit through large walkable covers aided by gas pistons in filters with top cartridge removal. Access is through a hinged maintenance door with seal for the maintenance and removal of cartridges in the lateral version. On request, the filters can be made with various types of sheet metal with the option of paint only the outside or inside-outside and anti-corrosion treatments. Cyclones are reduction systems which enable the separation of polluting particles without the use of moving parts exploiting appropriately shaped entrances. In detail, the gas and dust stream is passed into a system of two concentric cylinders. Gas entering is forced into a spiral movement from top to bottom in the cavity between the two cylinders. The gas can then leave passing through the internal cylinder, lower than the external one. The particles with higher inertia than the gas tend to strike the walls of the external cylinder and fall to the bottom of the system where there is a dust recovery hopper. The dust can then be recovered for the next stage of treatment. Ideally, a cyclone can be a cylindrical structure with a funnel-shaped exit, consisting of an inlet for the gas to be treated and an outlet. The ability to treat particles with more or less fine granulometry depends on the diameter of the cyclone. coiling and winding machines, cutters and retractors.